Our last beta gameplay videos of Dungeons & Dragons: Neverwinter show off some gameplay of both the Devoted Cleric and Foundry content– the latter being cooked up by the community already in the game. The Devoted Cleric isn’t your traditional healer type. Throwing epic spears of holy light and gliding around the battlefield affords the class a ton of mobility. If enemies get a little too close and personal, crowd control abilities, buffs and debuffs make it pretty easy to get out of a battle unscathed. 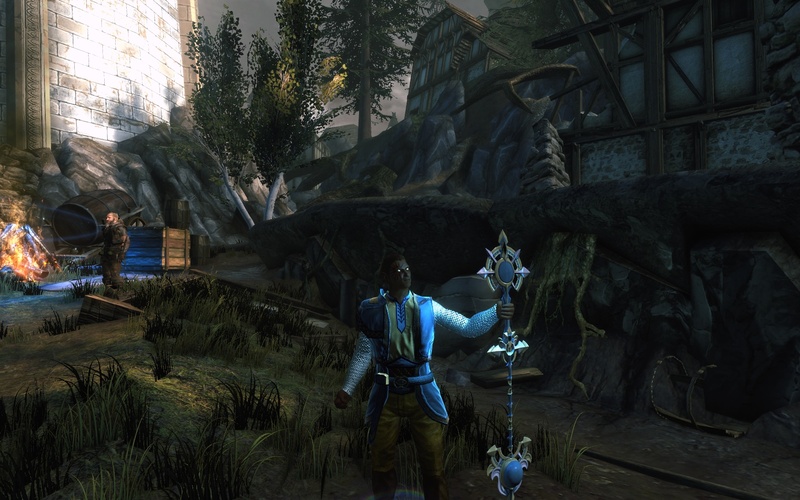 The Devoted Cleric’s main gameplay mechanic is the ability to store divine power. Once enough divine power is stored, encounter abilities display bonus effects. Some may instant-cast, while others explode on impact. The left and right mouse abilities are also replaced with channeled abilities, which, when activated, damage or heal. I found myself constantly switching in and out of this divine state, and it made for a very fun and action-packed experience that wouldn’t change even if you focused more on healing than damaging! The Foundry content starts off a bit slow, but hold your horses before starting to skip through it. Make sure to switch it to HD, and check out the dialogue that the person who created it put into their quests. Multiple dialogue options, NPC-emoted reactions, and the ability to make an NPC a quest giver… It’s just plain neat all the work that went into this first quest: there are rough edges, but it looks like you can revise and rework already submitted work to respond to player feedback. That wraps up our week-long coverage of our adventures in Cryptic Studios’ upcoming free-to-play MMO. Let us know what you think– are you interested in trying the game out?